Carefully craft your web of words to earn extra points and bonuses. Unlimited play of 1500+ full version games. Rebills after 14-day trial at $14.99/mo. Cancel anytime. "Word Slinger is the perfect mini break from work at my computer. When I need to take my mind off whatever I'm doing, I can switch to a game of Word Slinger to relax while also using my brain to maximize my score. I have a game going at almost all times, and I've chalked up quite a score! Highly recommended for lovers of words and crossword puzzles." Word Slinger adds another classic to the word game genre, packed with a plethora of bonuses and power-ups. You'll find them placed randomly on the game board, so carefully craft your web of words to earn extra points and pass levels with greater ease. Fit for puzzle game and word game lovers alike, Word Slinger will have you hooked. Word Slinger is my "go to" word game. Lots of fast paced fun if you play the timed version, or take your time and go for strategy with the untimed version. Either way a fun game to play. This is first game I load on a new computer. I love Word Slinger! Better than any other word game out and I don't have to wait for a friend to get back to me with the next word. It's the best game ever! A real brain teaser, great fun and uses up those little grey cells. Beating the clock is also great but hard work to keep up. The sense of achievement for both games is so good. Two thoroughly enjoyable thinking games. Fun game and challenging for those who love working with words. To reach the next level it takes skill and patience. Have played this game for several years and never tire of it. You really have to think hard to complete the score, and you learn a lot of new words, some of which seem very improbable. Every game is different so you never know what to expect. 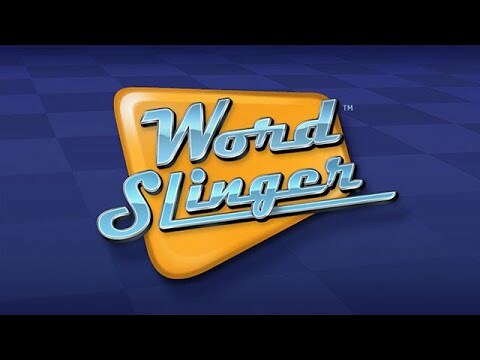 Several years ago, I had Word Slinger on an aging PC and loved playing, averaging at least a half dozen games a night. I returned to Game Fools to again purchase Word Slinger and couldn't be happier! Whether playing the timed or un-timed options, I can get lost in this challenging, enjoyable word game! If you like Scrabble, you'll love Word Slinger! I absolutely love this game! It's extremely challenging but keeps me on my toes and my brain functioning at a high level. Once you find yourself addicted to this game as I did, I suggest purchasing it so you can play anywhere and never lose your hard work. It's fun, educational, challenging and perhaps even healthy! Word Slinger is a game I have loved for a very long time. Your site is one of the few that have the older games available. I am very much enjoying this game and your site. Calls for concentration and creativeness. Word recognition and expertise makes it challenging and fun. Combine letters to create words that will reveal the hidden phrase. Create as many words as you can with the chosen letters. Shuffle the letters and rack your brain for ingenious word combinations. Test your skill as you travel to a land where words have yet to be invented. Click letters to make words and solve phrases, while even testing your skills online. © 2019 GameFools.com. All rights reserved.